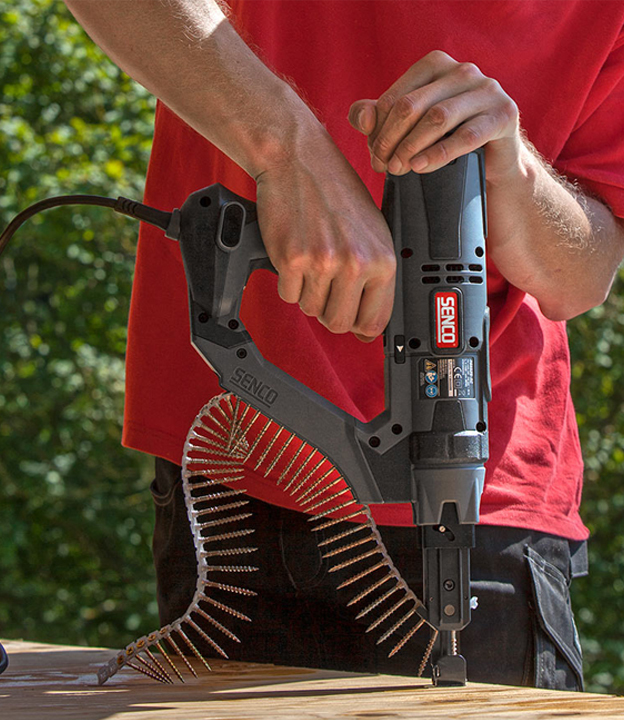 The Senco DuraSpin is a versatile screw system, designed to make you as productive as possible. 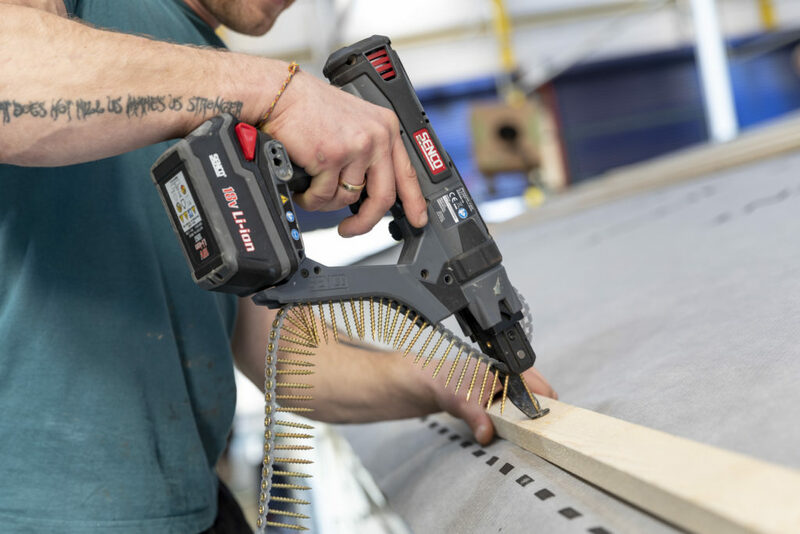 Compared to loose screws, DuraSpin increases screw fastening speeds by more than four times, improving your job site productivity by more than 30%. Here’s how it works. 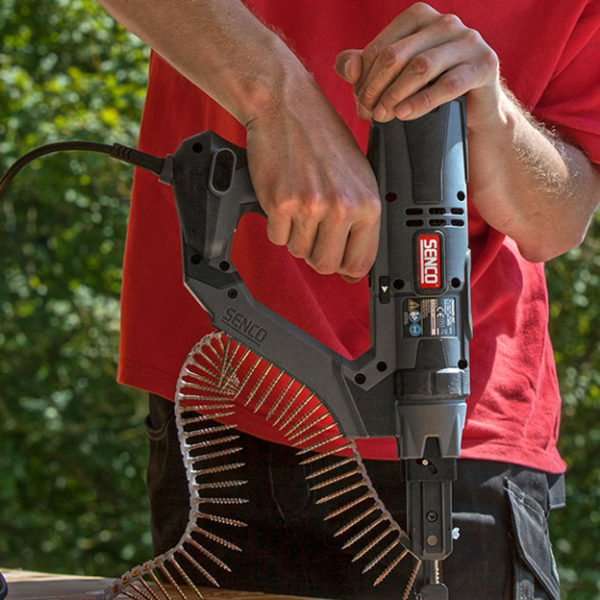 The Senco DuraSpin uses collated screws, meaning you don’t have to reach for new screws all the time, placing them and then screwing them: you can simply move the device to fasten screw after screw. The collated screws are easy to load in less than a second and the nosepiece is adjustable without tools. 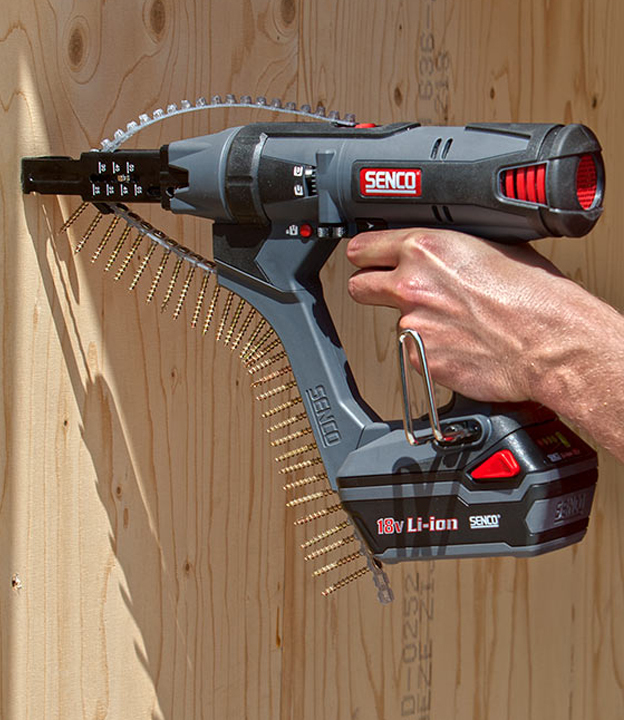 Because of this, the Senco DuraSpin screw gun allows you to drive more screws faster and with greater accuracy. This results in quicker installations, lower costs and greater profitability. The precise depth-of-drive adjustment with depth lock allows the DuraSpin to sink a screw 5 cm below the surface of hard wood. Because of the corner-fit feed system, you are able to place screws in hard to reach places like corners and tight spaces. 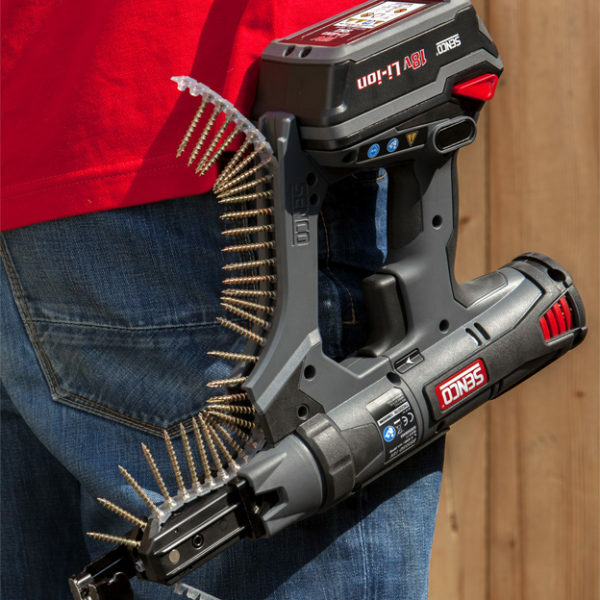 The high torque motor makes the tool a great fit for general contractors that need the versatility to do a wide variety of jobs. It provides plenty of power for composite decks, cement board, or applications where dense engineered materials are needed. 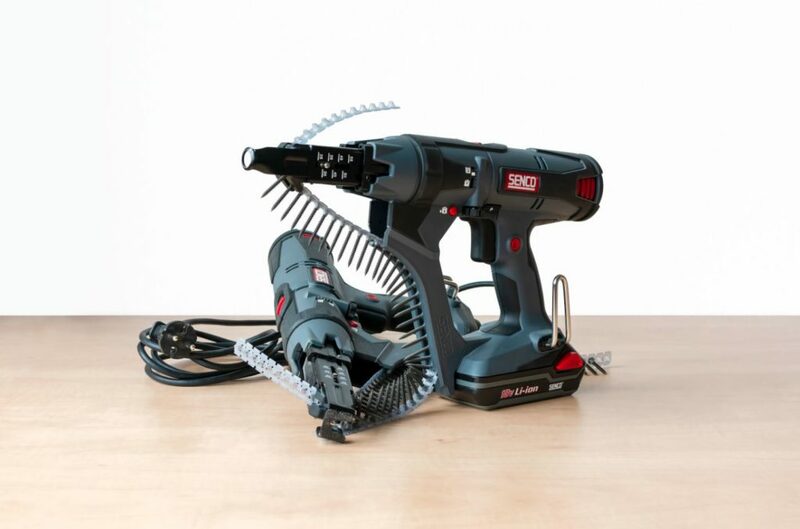 Moreover, the DuraSpin is ideal for applications where drill point screws are used to cut through heavy steel. 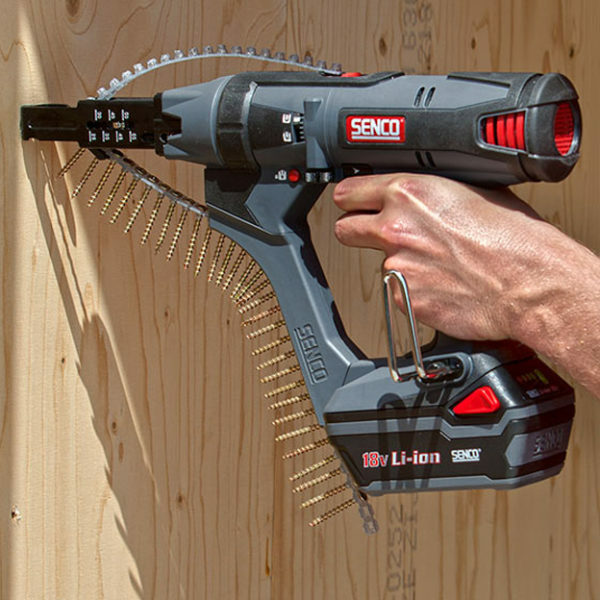 The Senco DuraSpin is available in a cordless design and a corded design. The cordless DuraSpin is perfect when high mobility is key. No wire, no hassle. The battery is good for 1400 shots per charge. The corded model offers a bit more power and has the advantage of not having to change batteries. 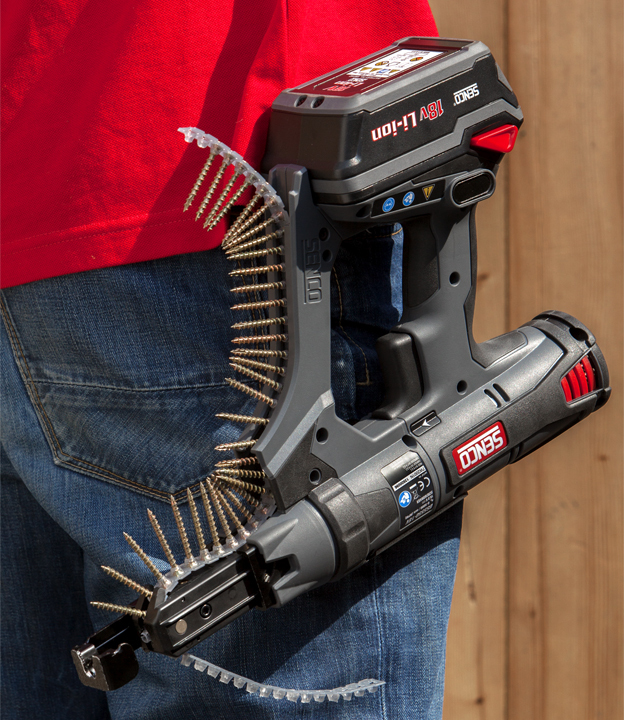 You can load the DuraSpin screw gun with drywall screws, metal screws and wood screws. Check out our range of collated screws: click here.